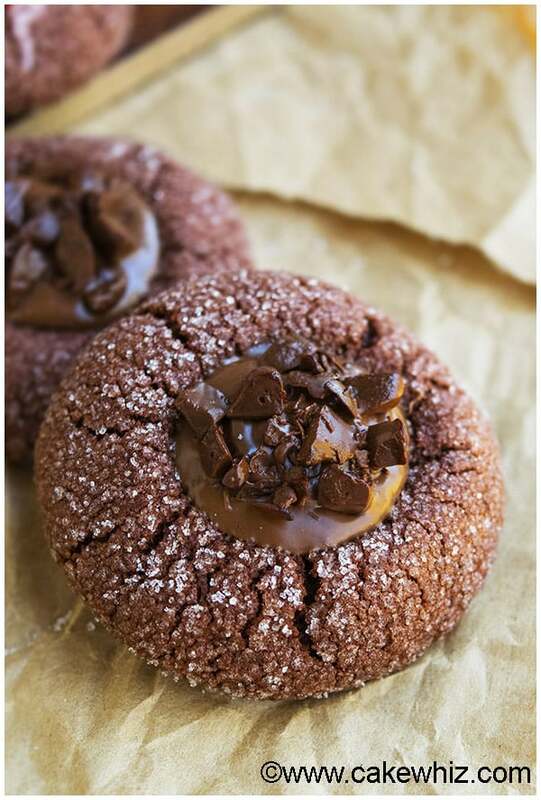 Chocolate thumbprint cookies are considered to be one of those CLASSIC cookies that every person should have in their recipe collection. I make these cookies A LOT during the Holiday season for parties and even to give to family/ friends as a wonderful homemade gift. Best of all, they are quick and easy to make and require NO CHILLING! 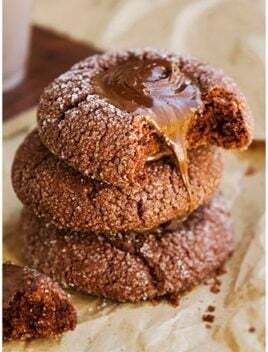 These cookies are loaded with CHOCOLATE! 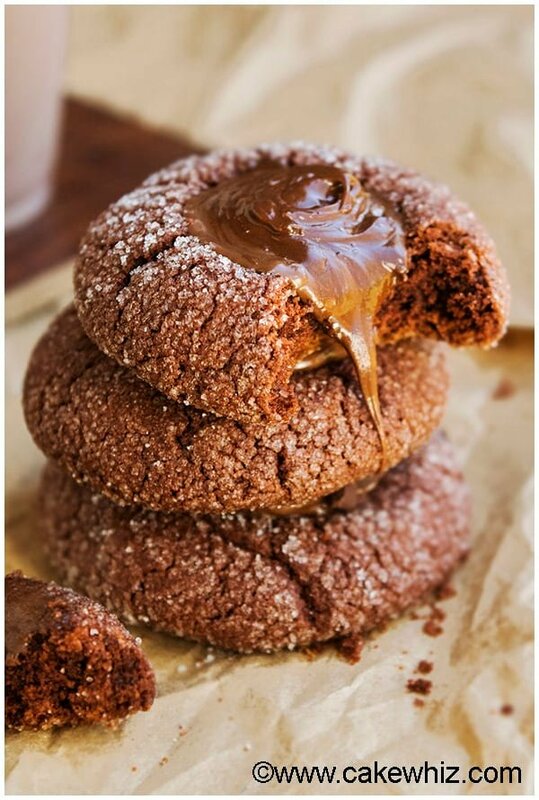 There is cocoa in the cookie dough and once they are baked, they are filled with rich and creamy chocolate ganache. By the way, if you are fond of thumbprint cookies, you should totally check out my nutty and crunchy Peanut Butter and Jelly Thumbprint Cookies. They are ADDICTIVE and meant for all the peanut butter lovers out there! I like to roll them in granulated sugar, which truly results in the BEST chocolate thumbprint cookies ever! They are CRISPY on the outside but SOFT and CHEWY on the inside. 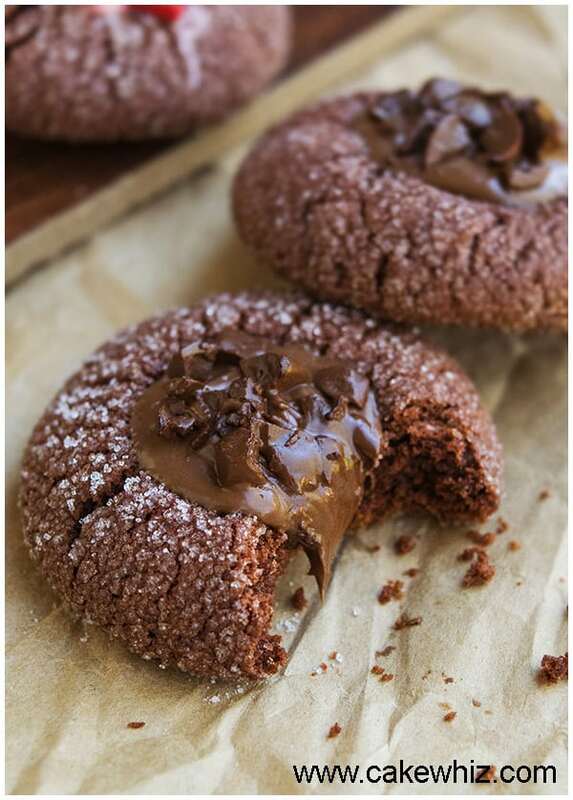 I haven’t seen many chocolate thumbprint cookie recipes that require this step but I HIGHLY recommend you do this since that’s what takes these cookies to a whole new level! Since Christmas is about 2 months away, I made some chocolate peppermint thumbprint cookies by filling them with melted peppermint chocolate and topping them off with peppermint chips. They have the perfect BALANCE of chocolate and mint flavor and are so PRETTY! In a mixing bowl, cream butter and sugar until mixture is light and fluffy. In a separate bowl, whisk together the flour, cocoa powder, baking powder and baking soda. Dump the dry ingredient mixture into the wet mixture and mix everything until just combined. Scoop out small portions of the dough and make little balls roll them in a bowl of granulated sugar. Place cookies on a cookie tray lined with parchment paper and press your thumb in the center to make indentations. Note: When you remove the cookies from the oven, you will notice the indentations are not that deep anymore. Just press the back of a wooden spoon or the round bottom of a measuring spoon into the center again. You must do this quickly before the cookies have a chance to cool down. While the cookies are cooling, prepare chocolate ganache by heating heavy cream and dark chocolate in a saucepan over medium heat. When the mixture is smooth and glossy, let it cool down a bit. Then fill each thumbprint cookie with ganache and decorate with small chocolate pieces. 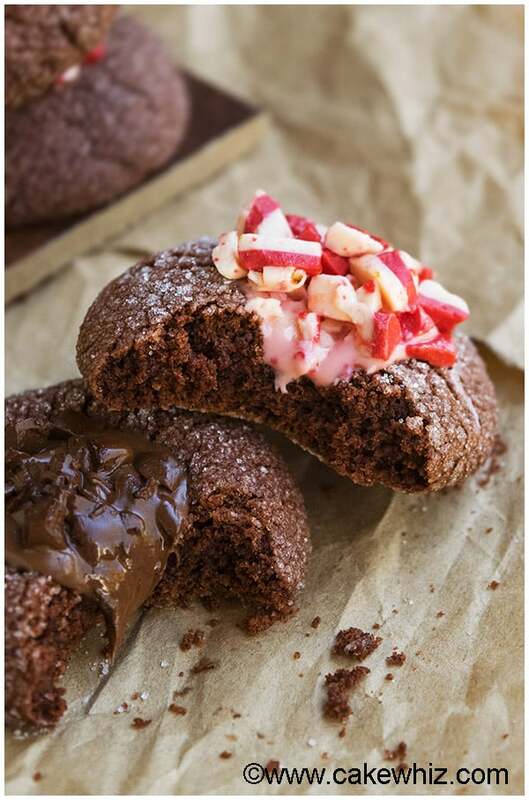 To make Peppermint chocolate thumbprint cookies, melt Hershey's peppermint kisses and and fill them in the center of each cookie and top it off with peppermint bits. Love it! Love all of the colors and your artful arrangements! I make thumbprint cookies at work frequently, and I never get tired of them. Never tried chocolate ones though – will have to do that! Sorry I was playing around with this recipe last night because I have found ways to make it even better and choco-licious! I was updating the new changes. It’s not 2 cups. It’s 1 cup butter now.